A spring-till-winter lasting story about people in rural Latvia at the time whan country was entering the European Union. 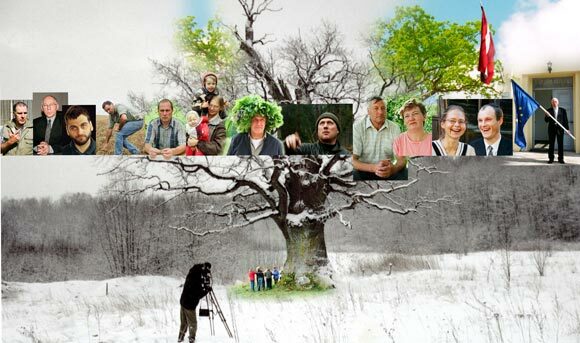 Film „In the Shade of the Oak Tree” is a contemplation on the present situation of peasants’ life, a story of rural Latvia at the time of entering the European Union, told by six locals. These people – biological fermers, a newcomer German peasant, soy bean enthusiasts, the head of a rural parish – represent different attitudes towards life and farming, sometimes irrational, offbeat and even mystical. Their stories converge in a visually appealing style, and meld together as the final part of director’s film trilogy, now covering thirty years of rural life in Latvia. Information provider: EDFS. Information provider is responsible for the contents of published materials.